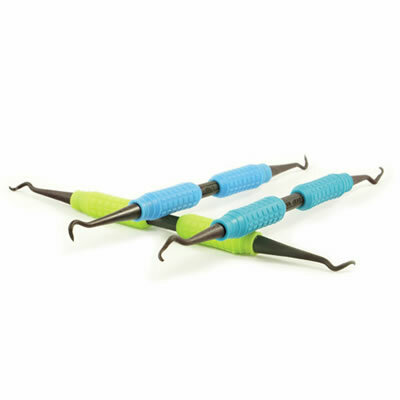 ImplaKlean Implant Scaling Set | Pac-Dent, Inc.
Pac-Dent’s ImplaKlean™ scalers are designed to fulfill the requirements of dental implant cleaning. The high-performance autoclavable carbon-reinforced resin provides rigidity that compares to stainless steel and allows for conventional re-sharpening without damaging or leaving marks on implant abutment, veneer, or composite surfaces. The handles are ergonomically designed with color-coded silicone grips for maximum comfort and easy identification.